When you think about the ubiquity of apps and their role in just about every facet (useful or otherwise) of modern life, it’s incredible to think how recent they really are. Before the first smartphone boom 2007, who knew that one day your life would be veritably ruled by small programmes that would do things like see how long you can hold your finger on your phone screen (100% genuinely an app). Of course, where people go, the smartest advertisers are (very) quick to follow and that’s why the inescapable buzzwords for marketing have been mobile and app. The mobile tipping point was actually reached just under two years ago, when it passed from being a platform to watch and became an indisputably necessary channel. In the US alone, mobile media time takes the majority at 51%, while desktop still lags behind at 42%. That means that if you’re missing this channel, you’re quite simply missing out on the most rapidly growing marketing platform in operation; and what business can afford to do that? Not that companies should chastise themselves too harshly of they’re a little late too get on the bandwagon. Despite the swift uptake of mobile media consumption by consumers, marketing budgets have been universally slow to catch on. 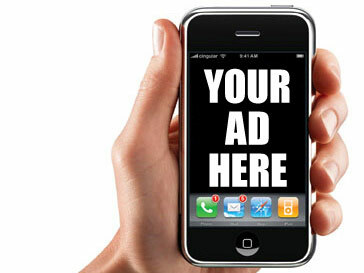 In fact, mobile ad spend is still less than the actual consumption, coming at only 49%. The good news is that it’s picking up fast, with mobile ad budgets looking set to increase by around 40% in the next year. Also, there has been a boom in the mobile app-install ad, which is essentially an advertising unit that will get users to download a mobile app. Why is this important? Not only does it help apps themselves stand out, it offers a much higher and more measurable click through rate than most other channels. If you’re using an app as part of your e-commerce strategy, the news doesn’t get any better than that. It’s worth noting that apps and mobile advertising have almost singlehandedly changed the fortunes of online advertising. Where once the palpable hostility around Internet advertising led many to wonder just how the net would ever be monetised, these days it’s not just acceptable, it’s demanded, as convenience and algorithms keep consumers coming back. The best example of this unexpected boon is Facebook: naysayers to their 2011 advertising strategy were certainly legion. However, 2015 saw an 11% growth in its net income, 90% of which came from mobile advertising. With those numbers, mobile really speaks for itself.